Turkish men stand up for women in mini skirts. 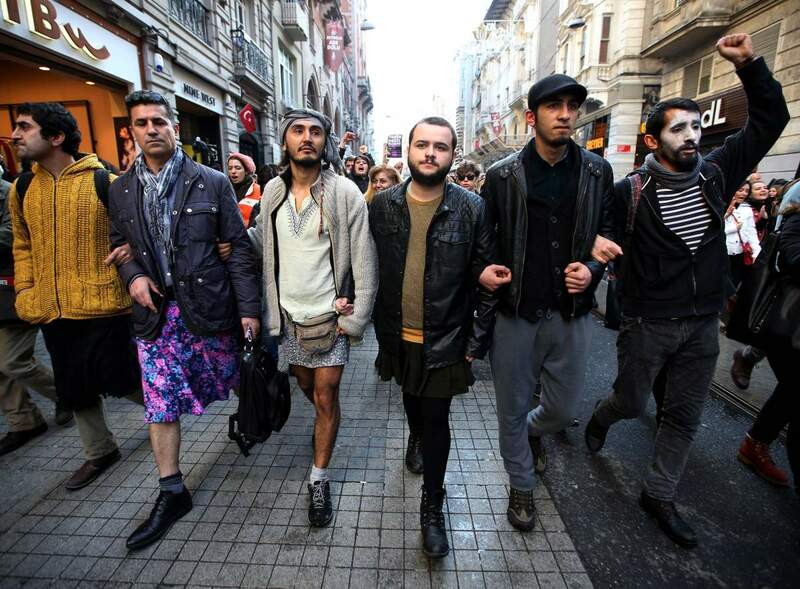 In protest against the rise of violence against women in Turkey (or indeed, violence against women generally), a number of men wore mini-skirts in the streets of Istanbul, and in pictures on twitter. My favourite is this tweet. The comment reads: “When I said I would go [to the march] with my three children, they said: you’re crazy”. New Thor responds to the ‘anti-feminist’ brigade.